Besides my painted items, these are so fun to make! Plus, the hunt at antique stores for these is one of my favorite things to do on my days off. 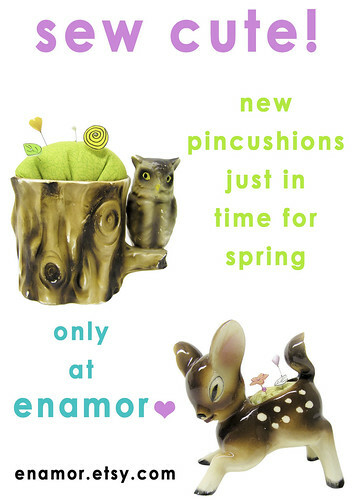 Keep your eyes peeled at enamor for new pincushions and other spring goodies!